I've met some awesome small business owners ever since I started instagram and one those people, one of those people is Katie from K-teas! I was really excited when they announces a boba box. 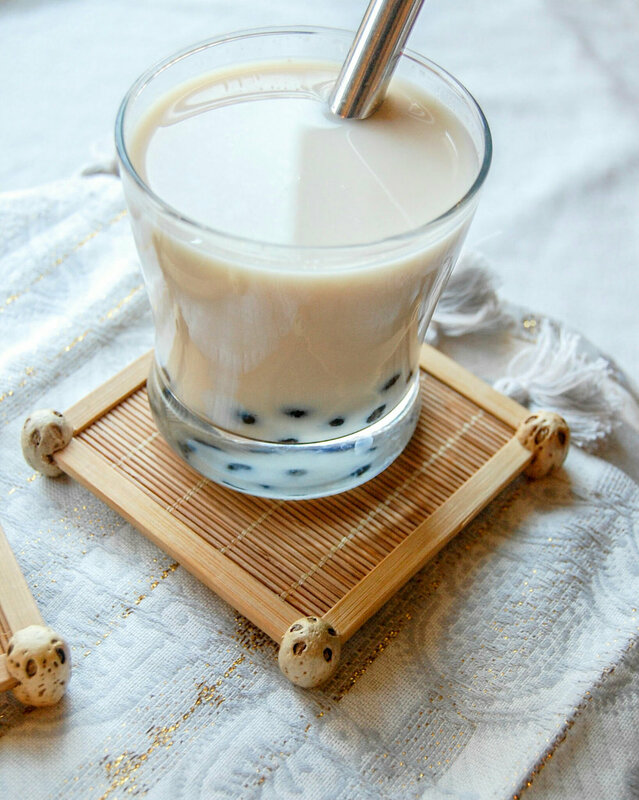 If you're unfamiliar with boba, you might know it as bubble tea! Earlier this year, I ordered tapioca pearls from amazon and tried to make it myself but honestly the directions were a little confusing and they didn't come out well! I was excited to try this box because it comes with everything you need! Royal milk tea (classics bubble tea) and rooibos chai. It's nice that there is a caffeine free tea option available as well! 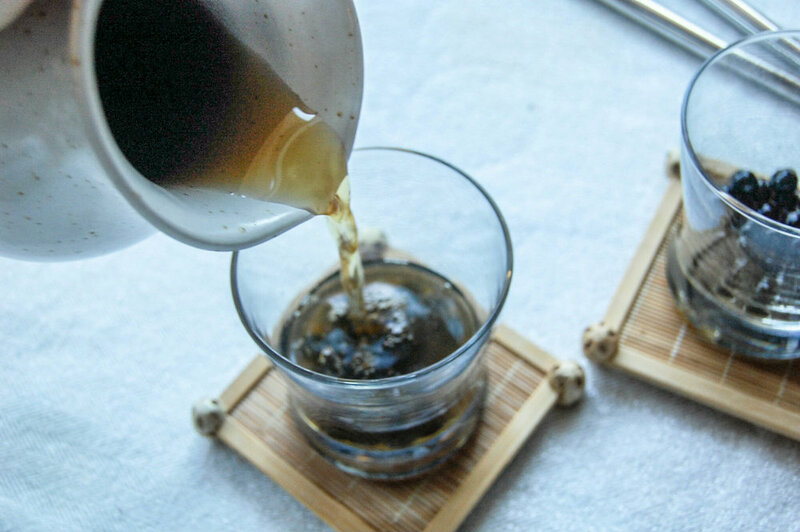 In addition to cooking the pearls so that they become soft, you often soak them in simple syrup which gives them that sweet flavor. 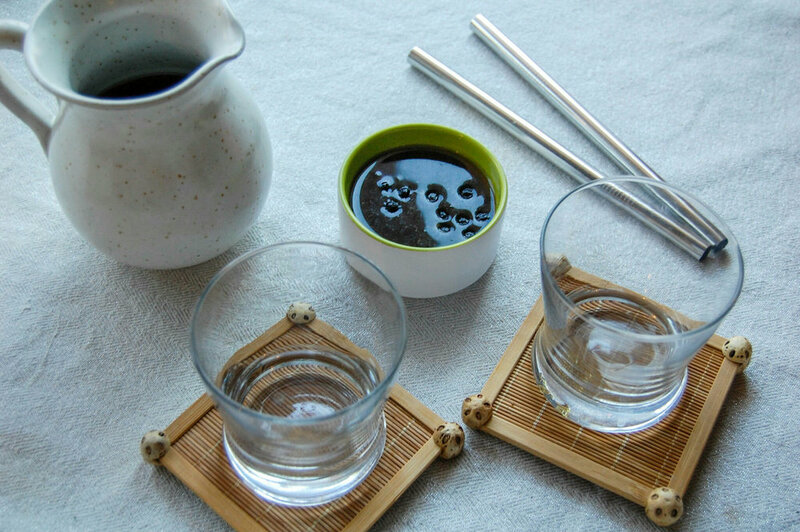 Simple syrup is essentially sugar and water but there are also directions to make simple syrup included. Instead of using sugar, I used honey to make my syrup and also put a few drops of this elderberry syrup just to mix up the flavor! After cooking the pearls, you soak them in the syrup. I left them in there for a little bit to make sure they soaked up the flavor. One note, you don't want to leave the pearls out too long though so I would suggest brewing the tea and letting it cool before you start the pearls so that the tea is ready once the pearls are ready. Generally, bubble tea is served cold but it can also be served hot. I've had it both ways from our local bubble tea place and I definitely prefer cold. If you prep your tea and it's already cool, you can just add it to the pearls and you're done! I often get my bubble tea at the store without milk because generally I prefer tea without milk however, it's quite common to get milk. I added milk to one of my glasses and left one of them plain to show you the difference! The one with milk is filled up about 3/4 of the way with tea then filled the rest of the way with milk. I really like how the kit comes with TWO wide mouth straws that are reusable. You can see in the photo below that the straws are large enough to have no issues sucking up the bubbles as you drink the tea!